Vineyard outskates Dedham 5-3. 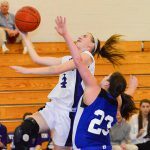 Girls scorch Fairhaven 64-39. 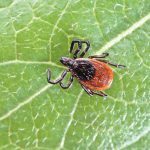 How will changing the hunting laws help prevent Lyme Disease? The 77-44 victory might have been more lopsided but the Purple hoopsters were rusty after two-week layoff. Next, Feehan, Friday. Join the fan bus. 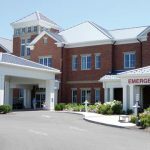 Dr. Mark Scheffer, a specialist in joint replacement surgery now practicing in New Hampshire, will join the staff in July. In strong terms, the arbitrator said Police Chief Dan Hanavan had ample cause to suspend Officer Scott Ogden for five days without pay. The shift of Dukes County sheriff to state control means towns will pay lower assessments. 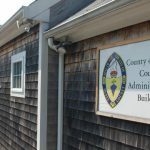 But other program costs will be sought at town meetings. 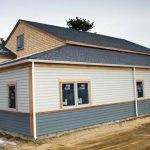 At their regular meeting on February 20, selectmen heard questions and concerns about the CVEC deal to build a photovoltaic array. The aroma of fresh sausage cooking on a stove is enough to make the strongest vegetarian wilt. 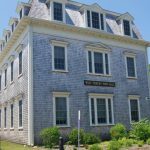 Funded by Comcast, Martha's Vineyard's public access cable television station is preparing to move into new, modern quarters. 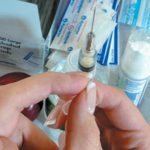 School nurses took a shot at a standardized policy that spells out what the law requires for immunizations in order for children to attend school. 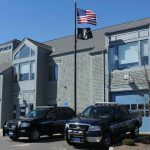 Tisbury police are investigating a break-in Sunday night into an office building, and a series of break-ins and thefts from commercial businesses on Beach Road and State Road that occurred sometime Monday night or early Tuesday morning, Detective Mark Santon told The Times. An Edgartown District Court judge last week sentenced Martha's Vineyard High School senior Deshawn James, 18, of Oak Bluffs to two years of probation and 30 hours of community service, after he pled guilty to breaking into a house and stealing cash while a family slept upstairs. 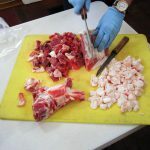 The town wants to encourage more compliance with safe food handling practices. 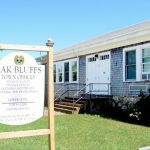 Arts Martha's Vineyard, the Island's arts and culture collaborative, will hold an organizational meeting on March 7 to introduce plans to establish a Vineyard Haven Cultural District. The Federal program gives fishermen a chance to unload old nets, pots, line and gear rigging, at the MV Refuse District station. The Cape & Vineyard Electric Cooperative (CVEC) announced that John C.
Atlas Van Lines recently awarded Francisco Laconte of Vineyard Haven and Double Oak, Texas, a driver with Carroll's Moving and Storage, an Atlas Van Lines Safe Driving Award engraved watch for 300,000 miles of safe driving, according to a press release. The fifth in the series featuring gunfire and explosions everywhere.